Impact investors must be more strategic if they are going to make a real difference with their money, claims deputy director of the European Investment Fund and impact investment expert, Uli Grabenwarter. 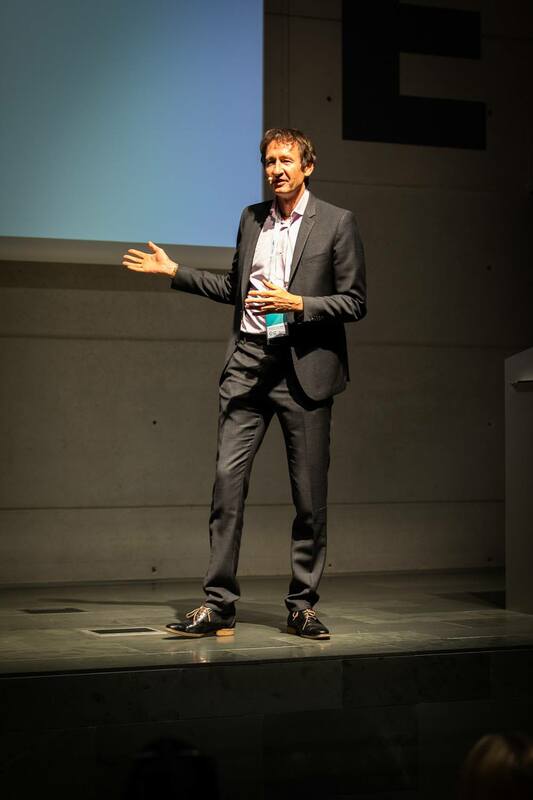 Speaking at the 3S Manage for Impact conference in Barcelona on Friday 28 September, Grabenwarter (right) argued that investors were too focused on ensuring that investees met their own requirements in terms of risk and return. “Can we really expect that when it comes to solving society’s problems that we are going to make a contribution if we are only funding what fits conveniently with our own risk and return profile?” he asked the audience of investors, foundation representatives, consultants, social entrepreneurs and academics. He argued that impact investors needed to first focus on what they wanted to achieve rather than behaving opportunistically. “We should look at our impact objective, make our own theory of change and then make the theory of change fundable,” he said. The two-day conference, organised by Stone Soup Consultingand social impact advisors TIIME, featured one day of training sessions around impact measurement and management, followed by a second day of discussions and presentations. 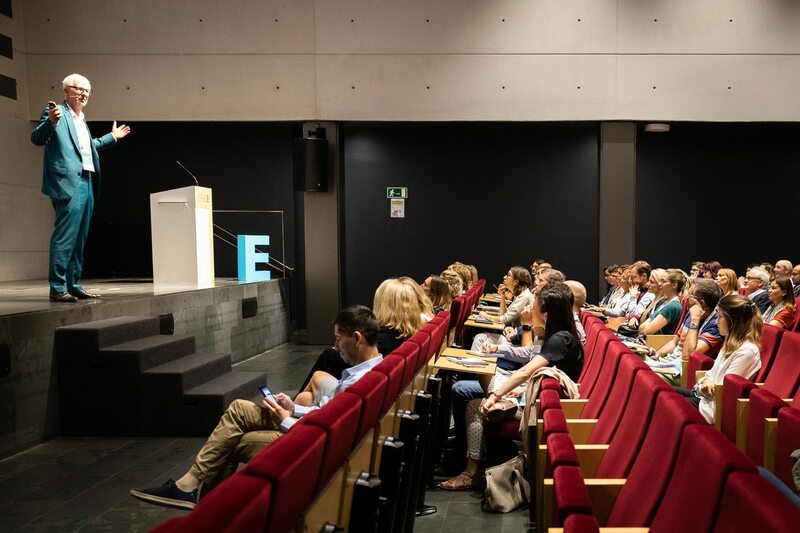 It took place at ESADE business school. Taking the stage later that morning, Jeremy Nicholls, founder and former CEO of value accounting bodies Social Value UK and Social Value International (below), and Tris Lumley, director of innovation and development at think tank NPC, argued about whether the social sector had moved any closer to properly measuring its impact and then using that information to inform its future activities. Lumley contended that “data-driven decision-making” had been talked about for a long time, but little progress had been made. In response, Nicholls pointed out that, until relatively recently, financial accountancy was not a unified approach and it took a slow convergence of practice followed by legislation to create rules and standards. Nicholls added that the same was beginning to occur in the impact measurement field. Conversations during the two days highlighted that many social enterprises, particularly start-ups, struggled to collect the necessary performance data to inform their strategies and satisfy funders. Pioneers Post was a media partner to the 3S Manage for Impact conference. Were you at the 3S conference last week? If so, make sure that you use your special delegate code to gain THREE MONTHS' FREE ACCESS to Pioneers Post’s subscriber-only online content. Unlock our extensive archive of features, analysis, films and podcasts as well as the digital versions of our beautiful and informative magazine, Pioneers Post Quarterly. Check your emails from the conference organisers for the code, or get in touch with our subscriptions manager, Simone van Klaveren on +44 (0)20 3941 2400 or email simone@pioneerspost.com. Limited time offer! Photographer: Frank Ostyn. Visual harvester (creator of posters on header photo): Delphine Boghos. Survey results proved very positive about the number of organisations measuring social impact, but there were calls for changes to be made to make practice easier for everyone.